Samsung is now rolling out November security updates for older Galaxy smartphones. 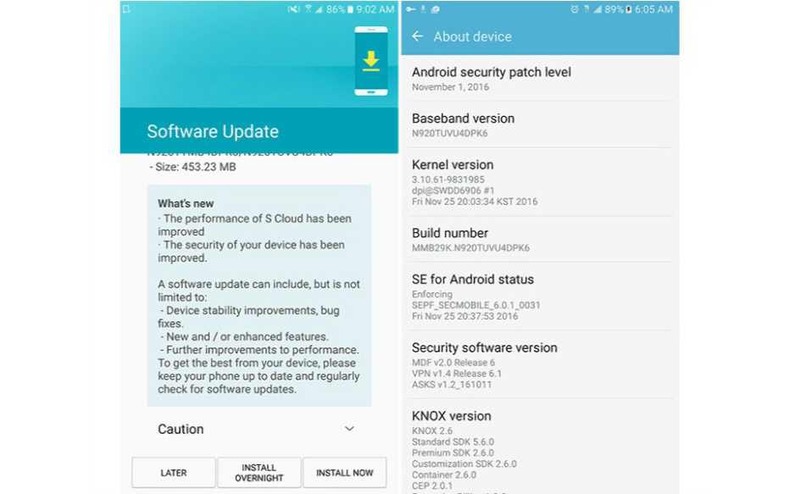 Previously, Samsung Galaxy S7, S7 edge, S6 and S6 edge received the update a few days ago. T-Mobile’s Galaxy Note5 and Galaxy S6 edge+ are now finally receiving the November security update. The build is DPK6 for both devices, and you will receive it over-the-air(OTP). This might take a few days for you, as the update will gradually roll out to all customers. You’ll see an update notification when the new software is ready to be downloaded. You can also manually check the update, just go to Settings > About device > Software update. November security update brings security fixes, as well as performance improvement for S Cloud. The security patch download size is 453MB.